Concerns about how industry impacts the environment are growing. The manufacturing sector is one of those that is subject to a lot of scrutiny, thanks to the input and output of materials and potential waste that is created in the process. Because of this, it’s becoming increasingly important to adopt new practices that will help to improve the sustainability of your original equipment manufacturer (OEM) operation. While making wholesale changes to the way that your business does things can seem intimidating at first, it doesn’t have to be: you can start small and begin reaping the rewards almost immediately in most cases. Furthermore, taking the time and effort to improve your manufacturing process can bring benefits that stretch further than you think. In this article, we will take a closer look at some of these advantages, as well as the best ways you can make your operation more sustainable. At Brushtec, we wanted to do our bit to minimise our impact on the environment. 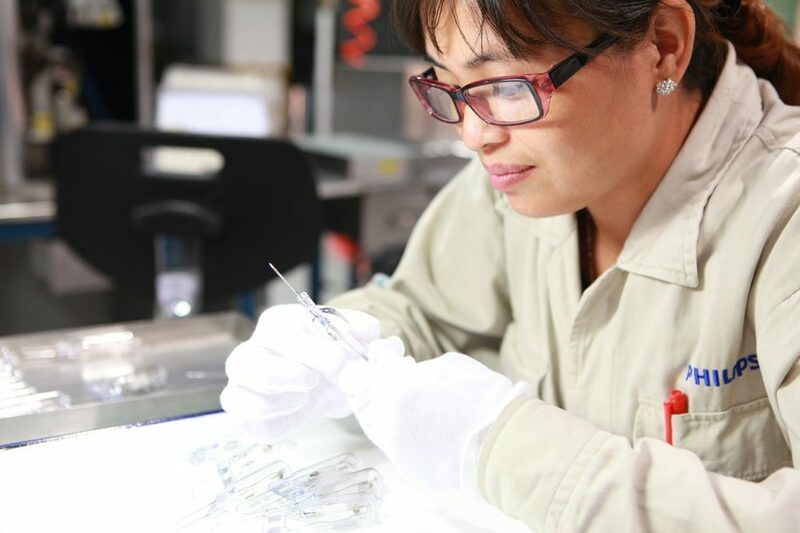 We’ve taken numerous steps to make sure that our manufacturing process is as eco-friendly as possible. Thanks to this, we’ve witnessed first-hand some of the benefits that sustainable manufacturing practices can bring. Below, we’ve listed some of the advantages your company could gain from going green. One of the most appealing benefits to embracing sustainable manufacturing is the way that it can lower costs for your business. Whether you begin using cheaper renewable energy, such as solar power, to offset the use of more expensive traditional sources, or relying on smarter technology to better regulate your energy consumption, you will begin to see a reduction in your overheads. 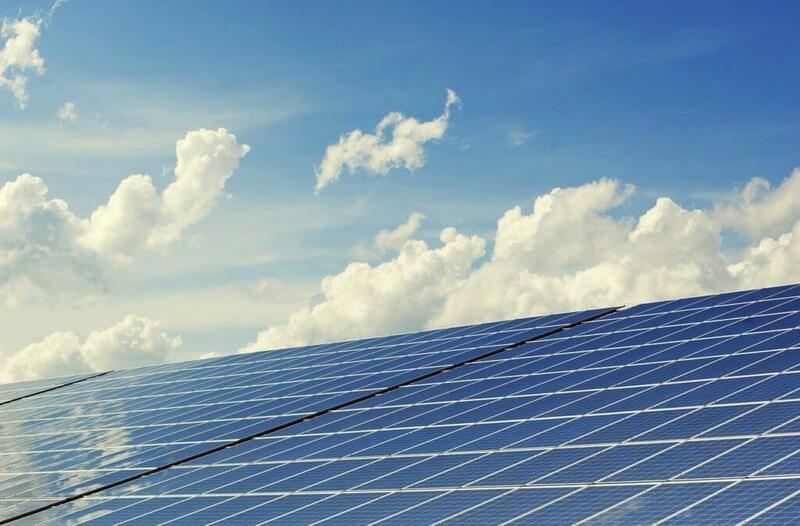 Though there is often an upfront cost for switching to greener options, these technologies usually have a relatively short payback period. Sustainable practices can also help you become more efficient with materials, giving you much better value for your money. In turn, with less waste to deal with, disposal costs will also decrease. Furthermore, you could qualify for a reduction in environmental taxes or schemes that reward you for a greener approach — take a look at the government’s green taxes page to see if you will be eligible. A 2015 global survey from Nielsen found that 66% of consumers were willing to pay more for a sustainable product. Becoming an eco-friendly enterprise can also do wonders for your company image, as more and more people are placing value in green practices due to their concerns about the environment. If you market your new practices effectively, you can enhance your reputation among your client base, while attracting the attention of even more potential customers. In addition, eco-friendly measures can help you to gain access to new markets that are only open to businesses demonstrating sustainable credentials. For example, the government has set itself Greening Government Commitments for 2016–2020, one of which is to “continue buying greener products and services”. This means that they have set out to do business with the most sustainable and efficient companies. A pledge like this ensures that only the greenest businesses have a real chance of landing potentially lucrative contracts. This is just one example of the many markets that could open to you with an improved environmental record. Once you’ve updated your operation to become cleaner and greener, your employees are likely to benefit from higher morale working for a business that has demonstrated that it is socially responsible — doing its bit to protect the environment and the people who live with it. You may also find that you have more pulling power when it comes to luring talented new staff, who are drawn towards a company that has embraced sustainable values. What’s more, you may even be able to take advantage of increased productivity levels across your workforce thanks to your new sustainable operation. Employees in companies that voluntarily adopt green practices and standards have been found to be 16% more productive than average in a 2012 study led by the University of California Los Angeles (UCLA). It found that they were more motivated, received more training, and had better interpersonal relationships with colleagues. There are many ways that you improve your manufacturing process to make it eco-friendlier, some very simple and others more complex. But you don’t have to make grand changes to begin your journey towards becoming environmentally friendly. With our suggestions below, we hope that you will be able to take your first steps towards sustainability. The first thing that you should do is undertake an energy survey of your business. This is a systematic audit of how energy is used throughout your building and grounds, with the aim of identifying areas that are deficient so they can be improved. Energy surveys can vary in their level of detail, ranging from a simple walkthrough to a more thorough investment grade assessment. You will be able to carry out a basic survey yourself, but if you want to go into further depth, you will need to hire an experienced energy professional to go over everything with a fine toothcomb. The Carbon Trust has published a comprehensive guide to energy surveys, which contains advice about carrying out your own walkthrough, as well as the steps you should take to organise one that meets the specifications of the investment grade. If your company employs over 250 people or has an annual turnover of over €50 million, there is a good chance that you have had to undertake an energy survey to comply with the government’s Energy Savings Opportunity Scheme (ESOS). Should this be the case, it’s worth remembering that you need to undertake a new assessment every four years to meet the requirements of this scheme. As we’ve mentioned, making small changes to begin with can often have an immediately positive effect on your manufacturing operation. Once you’ve carried out an energy survey of your workplace, you can begin to plan and make these changes to address any deficiencies that you identified. Some considerations that you might want to make are listed below. Though older incandescent bulbs have been phased out through legislation from the EU and UK government, it is still possible to buy them for industrial use. If your factory still uses this type of bulb, it is well worth switching to CFL or LED models which are more efficient. Furthermore, while newer types carry a higher upfront cost, they are much cheaper to power while having a longer lifespan. This is one of the changes that we’ve made here at Brushtec, where we replaced older light fixtures with newer, low-power LED versions. We’ve benefited from vastly reduced power consumption, which has resulted in lower energy costs. In addition, longer-lasting LED units need replacing less often, so we don’t end up paying for new bulbs on a regular basis. One of the areas that your energy survey will highlight is whether your premises is efficient at retaining the warmth generated by your heating. If its insulative properties aren’t up to scratch, you could be spending more money to generate heat that is simply being lost to the outside world. Older buildings are typically less efficient than newer ones, and may need additional upgrading to improve their ability to retain warmth. There are plenty of options available to improve efficiency, such as having internal or external insulation added to walls, simple draught-proofing, and covering pipes tanks in insulative cladding. At Brushtec, we’ve had thermal-efficient cladding added to the structure of our factory, which has hugely improved its ability to retain heat. We’ve paired this with the use of 93% efficient gas-fired air heaters, which are a lot more economical than solely relying on a centralised system. Another piece of technology that could help you to become more heating efficient is a programmable thermostat, which allows you to exercise more precise control over the temperature in your workplace. Turning down the temperature by as little as 1°C can save a household around 10% annually on their heating bill according to Energy-UK, and the same principle can be applied to your business. Also, smart thermostats usually have a lot of timer options, so you can set the heating to turn on during work hours without having to worry about turning it off and on each day. This eliminates the risk that any power and money is wasted through human error. One of the best ways to improve the sustainability of your manufacturing operation is to fully embrace renewable energy. Power sources like wind, solar, hydro, or biomass are completely clean and, in most cases, can reduce your bills when compared to those sourced exclusively from traditional fossil fuels. The easiest way to begin using renewable energy is to look at the findings of your energy survey and find instances where a new technology can be introduced. It’s unrealistic to expect to be able to switch to green power completely straight away, but you can begin to make changes that will offset chunks of your regular consumption. If you’re not quite sure where to begin, The Energy Saving Trust has helped many businesses up and down the country to switch to greener power. Some of the best technologies to start with are solar PV, solar thermal, heat pumps, and biomass systems, which can be installed to begin making a difference almost immediately. Here at Brushtec, we’ve installed solar panels and ground source heat pumps to great effect. They have allowed us to generate our own clean electricity and heating, while bringing down the cost of running our whole manufacturing process. Renewable energy also has the potential to earn your business some money back in the form of incentives. If you have a sustainable heating technology installed, such as a heat pump or solar thermal collector (there are others that qualify), you may be eligible for the government’s non-domestic renewable heat incentive. This scheme rewards users with payments made over 20 years based on the heat output of the system. Should you begin to generate electricity through solar PV or wind turbine technology, you can apply to get payments from your energy supplier as part of the government’s feed-in tariffs, where you will be paid for each kilowatt hour (kWh) that you produce. Another way that you can support renewable energy is by opting for a renewable electricity tariff with your supplier. There are typically two types offered: green supply tariffs and green funds. With a tariff, some or all of the power you use is matched with a purchase of renewable energy by the supplier. A fund, on the other hand, sources electricity as per usual, but you pay extra towards supporting renewable developments. It should be noted that, while being commendable, green tariffs should not be considered a substitute for reducing or generating your own power. The Energy Saving Trust has more details about both of these options on its buying green electricity page. An effective way of improving sustainability is minimising waste. The first step in this process is to review your manufacturing process and pick out any factors that are causing you to produce unnecessary surplus or by-products, taking steps to reduce the amount that is produced. A wide range of things can be classified as waste: from extra energy that is used to power machinery, right through to leftover materials from the finished product. Look for any machinery or equipment in your workplace that is outdated or has been surpassed by a more efficient model. By investing in the new technology, you could potentially reduce your energy consumption while speeding up your whole production line. You could also look into installing an electrical power management system (EPMS), which can give you real-time and historical data that makes it easier to identify, track, and address wasteful energy practices. Here at Brushtec, we work primarily with plastics, a material that can have a large environmental impact if waste is produced. To address this concern, we’ve embraced a fully automated production line, which makes heavy use of robotics. In doing so, we removed much of the manufacturing inaccuracies attributed to human error. Turning it into a more exact science has heavily cut down on the amount of waste created during the process, reducing environmental impact and allowing us to be much more economical with the raw materials required for our products. It’s also well worth regularly reviewing your product designs, as you may find that there is a something that can be altered that can make production more efficient. For example, you may be able to update an old design, producing something that once required multiple sections with just one piece. This type of innovation is often possible through developments in manufacturing technology, which makes keeping up to date with the latest news in your sector very important. As we’ve mentioned, plastics are one of the most impactful man-made materials on the environment. 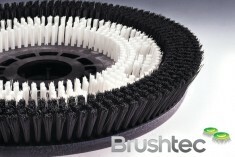 At Brushtec, we took steps to ensure this effect was lessened by reviewing the resources that we used in production. During this process, we discovered that there were more sustainable materials on the market that we could substitute for our usual plastic. 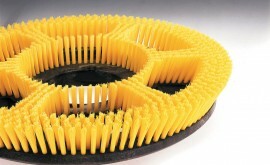 In light of this, we made the switch to post-consumer plastic, especially in the production of our moulded brush backs. This new material is sourced from a local car manufacturing plant, and has allowed us to create almost 100% recycled plastic products. While improving the manufacturing process will help to cut down on the amount of waste that you produce, the likelihood is that you will still have some output that you simply cannot make use of. Therefore, it is just as important to manage this waste in a way that isn’t detrimental to the environment and doesn’t undo the good work you’ve done so far. Consider what it is that you end up with as waste. Is there any way to avoid sending it to landfill, such as recycling or using it in a new type of product? It may also be worth thinking about any other industries that could make use of what you don’t need. We’ve already mentioned how we’ve made use of plastic sourced from another local plant here at Brushtec — are there any opportunities for you to do something similar with your own waste? As you work towards becoming a more sustainable manufacturing business, you can also look beyond your own operation when reviewing how you do things. Look to work alongside other suppliers and firms that have made similar commitments to becoming sustainable. This way, you can be confident that the materials that you use are low impact, while your products go on to be utilised in an environmentally conscious way. At Brushtec, we’ve made a commitment to becoming sustainable, and our business has grown as a result. We’re always eager to supply our products or to work with other like-minded companies, so if you’re interested, you can take a look at our product range or get in touch to discuss your project with our team.